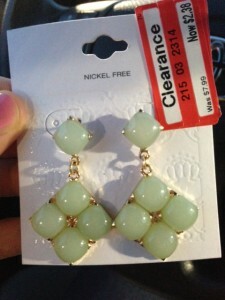 Target Clearance Plus Cartwheel = Great Savings! I totally splurged today. I spent a whoppin’ $1.96 for these adorbes pair of earrings! And that’s including tax y’all! 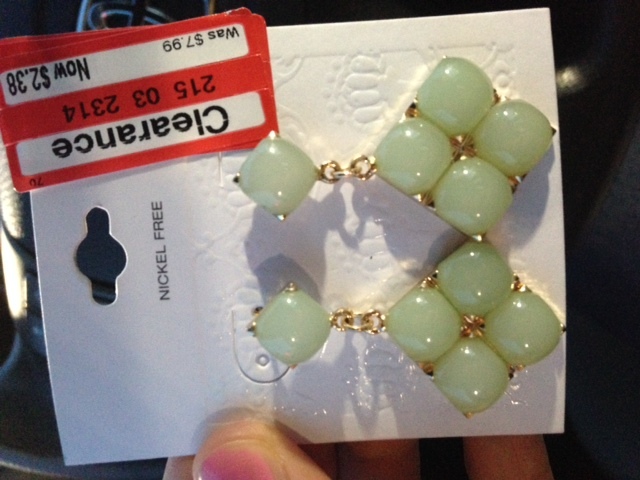 Regular price $7.99, on clearance for $2.38, then used Cartwheel for an additional 25% off! Right now there’s a 25% off Women’s Jewelry & Scarves (Expires Sept. 1st!) Cartwheel coupon available! Don’t have the Target Cartwheel app on your phone yet? Download it free here! I’ve saved TONS of money with this app! ← High Value Coupons to Print!